After working as the Head of the Hair & Makeup, & Wardrobe Department for Maori Television for 8 years you soon get to meeting a lot of high profile people nationally and internationally, so many that you stop counting, top sports people, musicians, actors, politicians, Prime Ministers and just plain characters like the Dali Lama. My Dad is well known so I was used to being around recognisable people and while still training at Cut Above Academy I was charged with doing fashion photoshoots for the Women’s Day and Sunday Star Times with high profile models & people, but the first really famous person (in my eyes) I ever did was actress Rena Owen right after the release of Once Were Warriors. I was straight out of Hair & Makeup school and she was exhausted having just landing after a 24hour flight from L.A. Her only request was to not make her look like Beth! 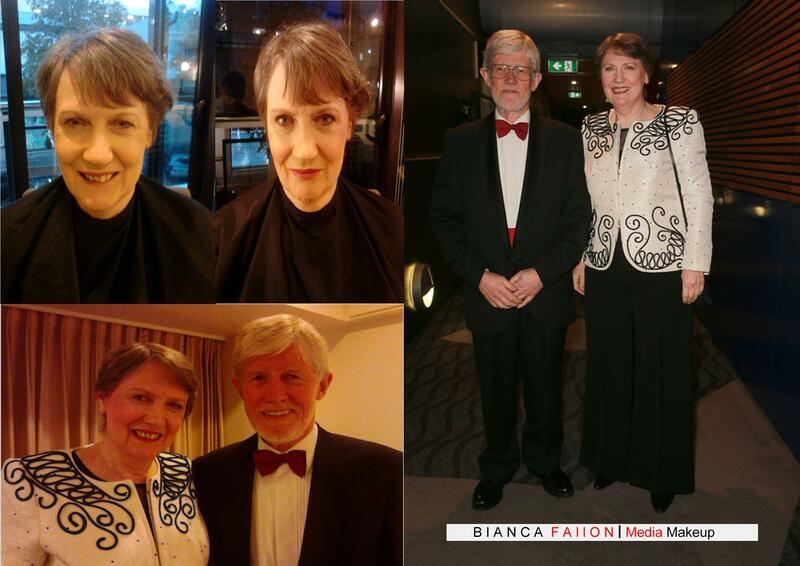 A little more experience under my belt and I would regularly ask new talent coming into the Maori Television Makeup Room what they did for a living, even if I knew and it is on the call sheet! Especially the sports stars as this put us on an even playing field as I would pretend I did not know who they are, they only person it did not work with was Greg Murphy, smart man that Greg. When working with prime ministers their body guards would come into the makeup room and do a security sweep first and stand at the door watching guard, this happened with both John Key and Helen Clark, both very personable people making it hard to decide on voting day so one must always go back to the party policies. We recently celebrated the Kea N.Z. 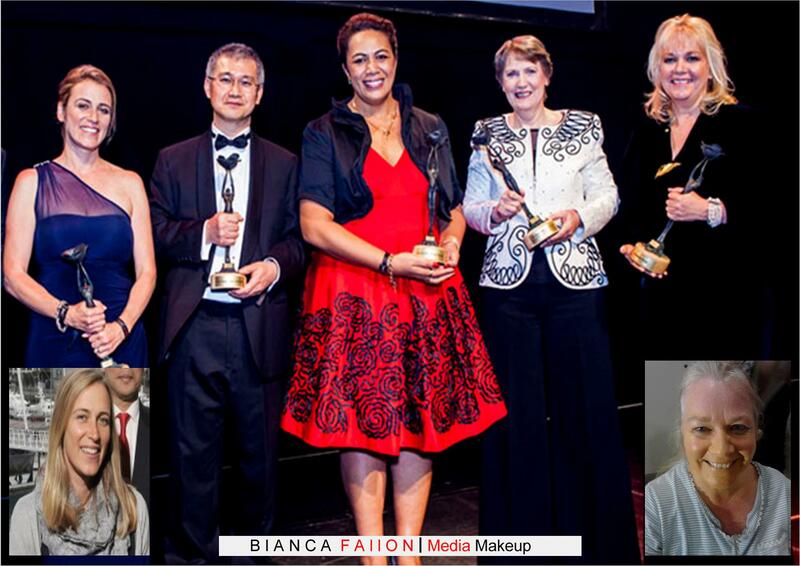 Awards where Former prime minister Helen Clark was nominated along Victoria Ransom, Audette Excel and Beatrice Faumuina….all highly accomplished leaders in their vocations, Helen won. What struck me personally about getting the opportunity to work with Helen again, this time I was back to freelancing, and I was grateful in a few shorts years to have relaunched and re-branded my business to such a high level to be humbly selected to facilitate the hair and makeup for these business superstars. You would think as Helen and I had previously worked together that I this would be a breeze for me, to a certain extend yes but I recognised that when I admire the talent I get a bit shy. Her accomplishments and intelligence I respect and am in awe of, she married a Doctor her lovely husband David, tick one. As a hair and makeup artist I ask a few polite questions to initiate communication but I usually leave it up to the talent to lead the conversation as they may just want to relax. With someone like Helen you do think heck what should I talk about, and there is no security guards present or production staff hanging on to fill in the conversational lulls. I need not have worried as I found Helen to be even more relaxed and less concerned about her image, I personally felt when she was Prime Minister she would lessen her looks in general to maintain a relate-ability to her voters. Lol I just laughed, I love people that are direct. We chatted about my political gripes with National cutting the much needed arts funding that she personally championed that kept our industry afloat for many years, the cutting down of hospitality numbers and a few high profile people that have more happening in their personal lives then we know, makeup artist never tells. Freelance hair and makeup artists implement their clients requests in a tiny amount of time under pressure in sometimes not ideal locations, the pluses are we get paid well and get to meet our heroes.